I was recently given the opportunity to check out the grand opening of a new thrift store in our area. So, I brought along a few of my thrift store friends, who are seasoned veterans… aka, ‘Thrifters.’ We had a blast, and in the process I picked up a few great tips for newbie thrift store fans like myself. One of my ‘thrifter’ friends introduced me to her ‘Thrifter’s Prayer.’ I don’t know if she came up with this on her own (I think she did) or borrowed it from someone else. 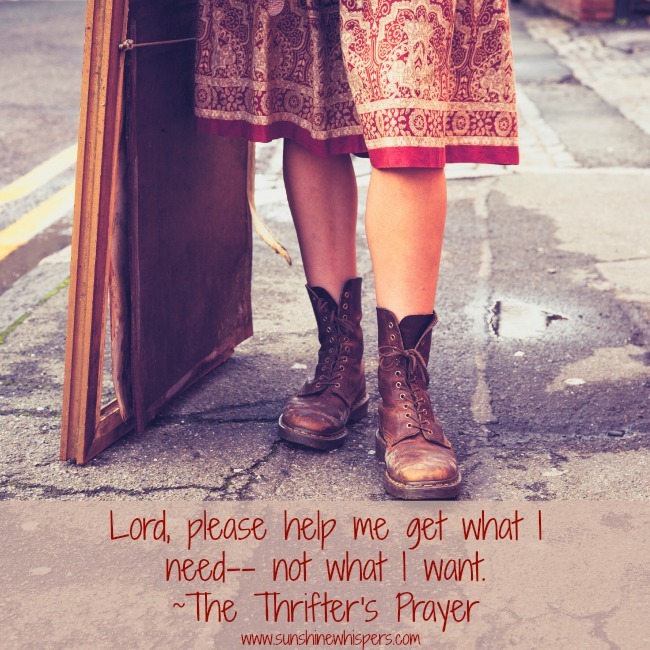 However, she indicated that before every thrift store visit, she says this prayer– and it has never left her down. She always finds what she needs.. and doesn’t come home loaded down with lots of extra stuff she may want now, but won’t want in a month. Always look for more information– Look for signs outside of the store, inside the store, in fliers, on the internet. Oftentimes the ad hoc advertisements announce deals like 50% off specials, special sale days, etc.. 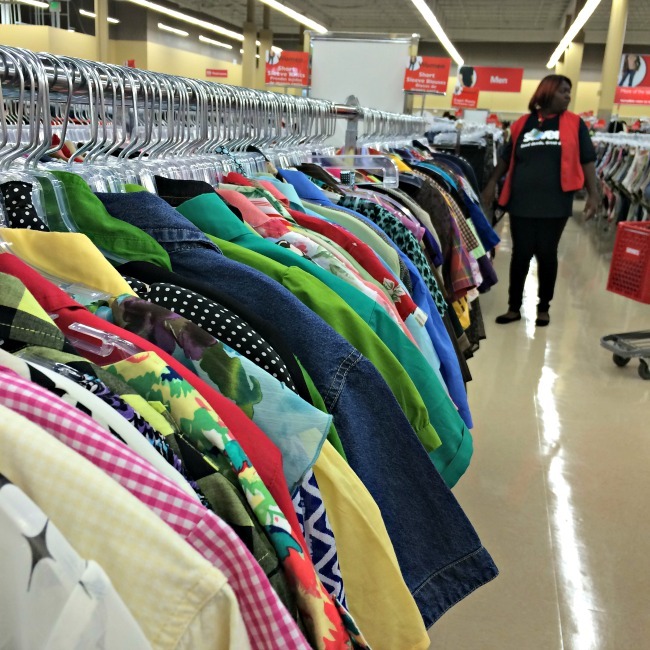 Since many thrift stores are very localized (even chain thrift stores), the sales can vary greatly from location to location. You have to pay attention to the signs. Bring baby wipes!– If an article of clothing you love is stained, use the baby wipe to see if the stain will come out. Baby wipes have alcohol or even a small amount of soap in them. So, if you wipe the stain and it starts to come out.. the stain is not permanent. Otherwise, put it back because the stain is there to stay. Check the seams, cuffs, and crotch for wear and tear– These are the areas that will wear out first. You might love those pants, but if they will disintegrate within a few washes, the bargain price might not be worth the effort. Buy out of season– Avoid buying summer clothes in summer, etc… If you shop for the next season, the selection (and prices) will be much better. Don’t shop at the store you donate items to— Unless, of course, you like the idea of re-buying your own gently used items. If you loved it enough to buy it once, you will love it enough to buy it again. Don’t buy underwear and shoes– Underwear should be obvious, right? Why not shoes? Even if they are in good condition, used shoes have conformed to the former owner’s feet. It will be difficult for them to fit right on your feet. 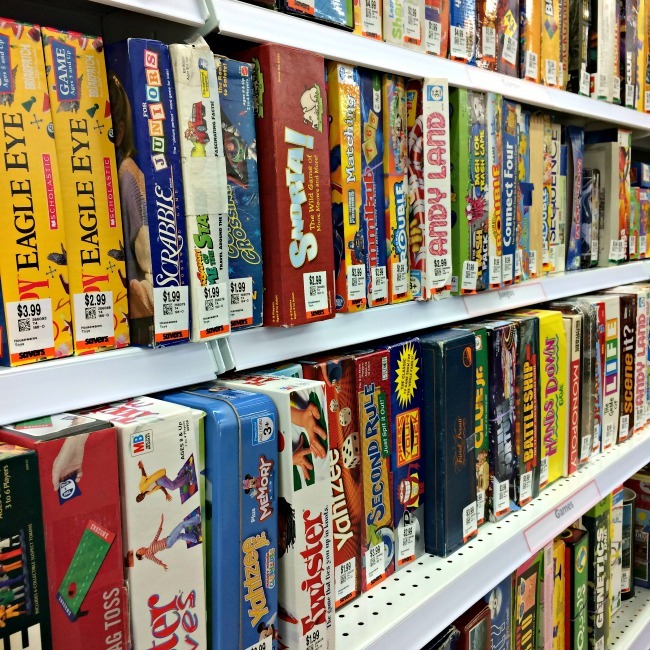 Don’t buy games and puzzles to be used as games and puzzles– The obvious exception is if they are in the original packaging. However, most of the time it will be hard to tell if pieces are missing. The best use for games and puzzles is for decorating (art deco anyone?) and crafting projects. If you want to know the overall quality of the store you are shopping at, check the cleanliness of the bathrooms, and the level of mess under the racks and on the floors. Sheets and towels have many uses– Sheets can be used as curtains, backing for quilts, and other projects. Both sheets and towels are perfect for camping, the beach, or any other time you need linens.. but don’t want to ruin perfectly good linens (aka– the stuff you paid good money for). Throw out that list! 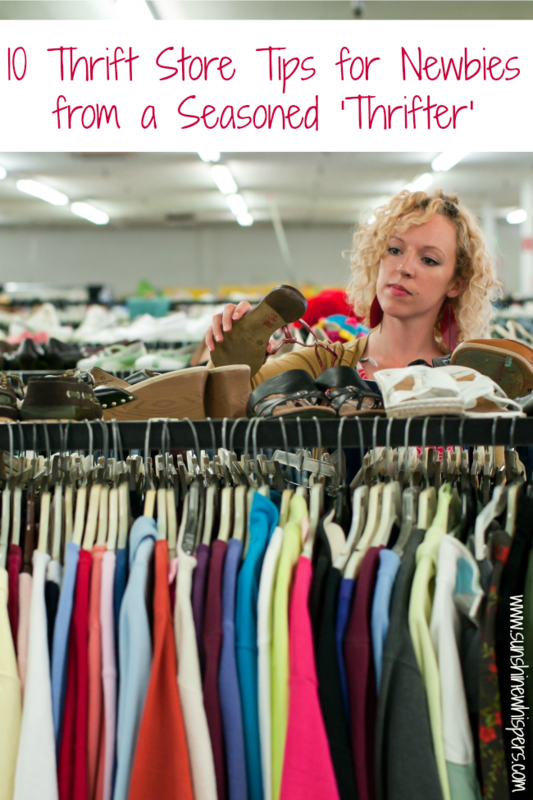 – Thrift store shopping is hit or miss but the more generic your list is, the better. If you show up looking for a particular book, you might be disappointed. However, if you show up looking for… a cookbook, you will likely find what you want (er, I mean.. need). Bonus tip #1! 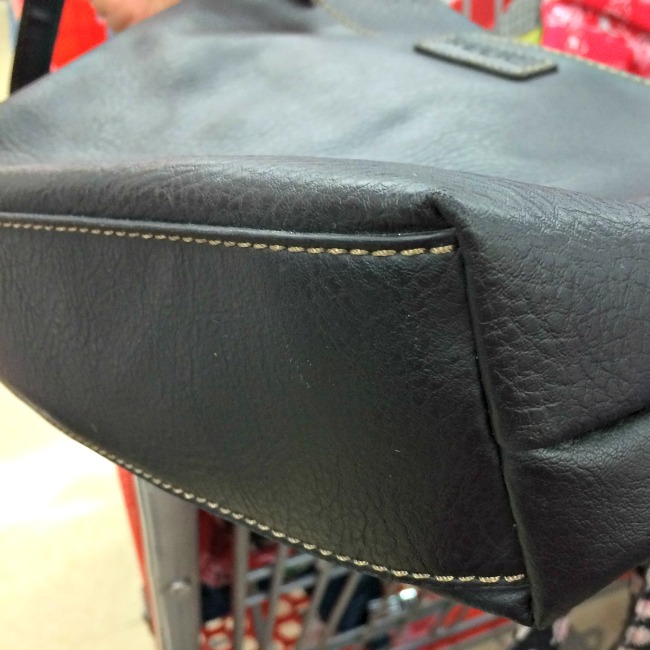 When buying a purse, check the bottom of the purse for scuff marks and wear. Also, make sure the zippers work and that there isn’t anything still inside the purse. Bonus tip #2! Be discerning- Oftentimes, items are priced by generic description, not by specifics. So, the designer top may be the same price as the top from Wal-Mart. If you are patient and discerning, you can score some great deals. Bonus tip #3! Grab bags, buyer beware- Ok, this is really that ominous. The grab bags can be a great deal. Just know that the thrift store generally makes a larger profit margin from these bags. Sometimes, you get some great toys/craft supplies/etc.. for the price. Sometimes, the grab bag is full of Happy Meal toys. Take a careful look before you grab. Great ideas – especially shopping for little ones! When you start making a home, be sure you or someone in your family is welling and ready to tackle restoring and/or re-purposing those neat homey items!